Managing third-party access How to Stop Third-Party Apps From Accessing Your Private Data on Social Media How to Stop Third-Party Apps From Accessing Your Private Data on Social Media If you're concerned about who has access to the data on your various social media accounts, the good news is that it's very easy to revoke access. Read More to your accounts is an important part of keeping yourself secure online. You might grant an app access to your data in good faith, but apps can change ownership or adjust their permissions. You could quickly find yourself in a vulnerable position. Bizarrely, Spotify didn’t offer a way to manage third-party access until quite recently. You could only revoke authorization by remembering which apps you had given access to and hunting around their settings menu. It was impractical. Thankfully, that’s no longer the case. 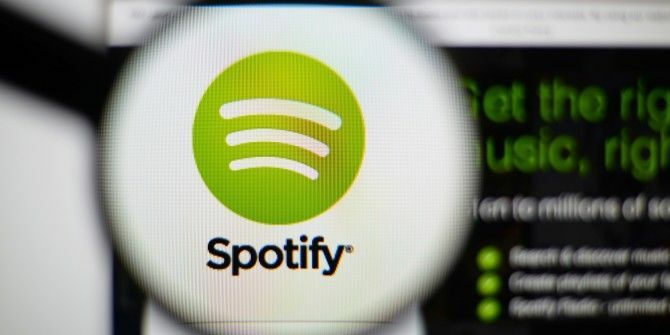 Now it’s possible to revoke access to any app from within your Spotify account. First, navigate to Spotify.com, tap Log In, and enter your credentials. Next, click on your username and select Account from the drop-down menu. You will find yourself in your customer portal. You need to scroll down and select Apps from the panel on the left-hand side of the screen. Many users have used the Spotify chat boards to complain about the presence of an app called Lithium Community. If you see Lithium Community in your own list of approved apps, don’t worry. It’s the web application that powers Spotify’s community forums. If you scroll to the bottom of any Spotify forum page, you’ll see a “Powered by Lithium” logo. You might not recognize the name, but the Lithium software also powers forums on Skype, Best Buy, Sony, Verizon, and more. You can revoke access, but it will immediately show up again next time you write a forum post. Did You Find Any Surprises? When was the last time you audited the third-party apps on your Spotify account? If it’s the first time you’ve done it, did you find anything unusual? Explore more about: Online Privacy, Spotify. How to Live Stream on YouTubeThe TSA May Ban Laptops! What Smart Device Should You Buy?